Our property index is quite extensive, connected to real estate agents who are trained professionals with access to Idaho’s MLS. Thanks to the accessibility of this index, this tool is great for both buyers and sellers. Sellers who list with this index are more likely to find a potential buyer for the property thanks to the increased exposure MLS Boise gives. Buyers, in turn, have a wider range properties to choose from and are more likely to find something that meets their parameters. With all of the Boise listings, it may be slightly overwhelming to find your new Idaho property. There is a plethora of styles, shapes, sizes, and prices of Boise properties to choose from. Narrowing the list of properties in the MLS could be difficult, but with our advanced search to help, you can find a property is ultimately satisfying from the beginning to the end. As the capital of Idaho, Boise is also the most populated. 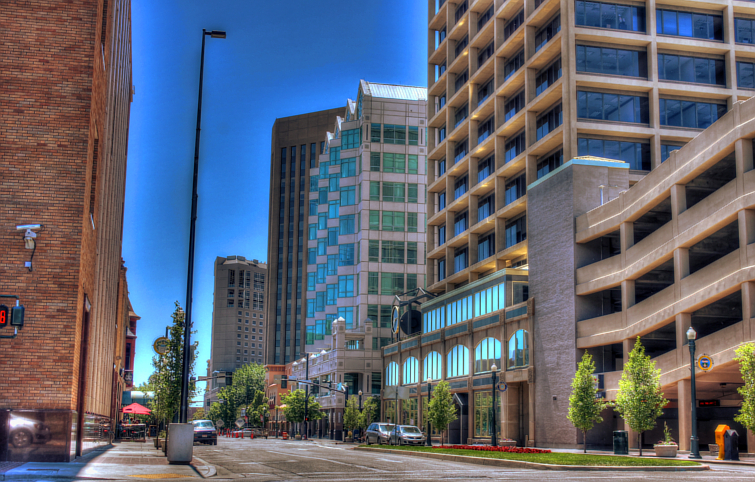 Because of this, Boise residents enjoy the urban lifestyle of downtown Boise. There are real estate options with different styles of homes including townhouses, condos, and apartments. The more rural parts of Boise are mostly filled with single- family homes in various neighborhoods around the city. Neighborhoods in Boise come with various housing options. The location in a certain subdivision could add to or subtract from the value of a home. Several distinct Boise neighborhoods with have particular aspects that add to the livability of the neighborhood. Somerset Village residents, for example, have ready access to a community clubhouse and pool. Other subdivisions take pride in their location like the Waterfront District, which is close to the Boise River. Look into these and other Boise neighborhoods for your new home. Our specially designed, high-quality home search will help you find your home efficiently and effectively. Are you already aware of some of the amenities that you will want in your new home? Many of these can be inputted on the right hand side of the MLS to find the correct home for you. Alternatively, you may be reminded of parameters you hadn't yet thought of. Regardless, including these in the home search will narrow down the listings you will have to sort through in your search for property. Information is directly linked to the MLS. Because of this, you may even search by MLS-specific information, like the number of the listing on the site as well as how long the property has been listed. Narrowing down your exploration is possible in several ways. On this website, you can select from the many cities in Idaho. Due to this website specifically focusing on the MLS in the Treasure Valley, the top cities are the ones in the Boise Metropolitan area. These cities include Boise, Meridian, Eagle, Nampa, Kuna and Star. Information about each of these cities is found on the COMMUNITIES option at the top of the page. There, you can find statistics about each city and what makes the community unique. Searching by the general area your ideal property is located in, allows you to determine neighborhood, county or school boundaries and water supplies. To modify your home hunt, use the PROPERTY SEARCH option located at the top of our web page. Once you find properties that you are interested in looking further into, you can learn more about the property by selecting it for a detailed description on the listing. Some of the information that will be available for you on each of the listings includes the price, the MLS number, the size, the age, the type and status. Furthermore, you will gain access to additional features that may make one home more appealing than another, such as garage capacity, parking spaces, pool, and fireplace, for example. Potential home buyers on our site will also have access to information of interior features. This includes what appliances will be included with the sale of the home like the dishwasher, garbage disposal, and oven. Some homes will include the materials used for counter tops or floors, as well as the style the home emulates in design. Exterior information is included here as well. A description of the yard might be available with features including the layout of the yard, the presence of a fence, the architectural style of the roof, and other elements of the outward design. The location of the house will also be in the information of the listing. It will have a specific address, the subdivision, the area, county, and zip code. In your home search, you can modify the location parameters with a technologically advanced polygon mapping feature. With this feature, you can literally draw the area you want to look in on a map. Detailed photos of each property on the MLS are included on listings, of both the interior and the exterior. You may look through these photos individually or take a virtual tour of the house. This is especially useful for those who are unable to visit every potential home for sale in person. As you begin your home search through Boise’s MLS, take advantage of our advanced search to help you specify precise parameters of your new home. Start your home search today.